Dec 12, 2010 Power Supply Restoration Rev A is now available. Extra pictures and details for reworking an Astron RS-35M included. 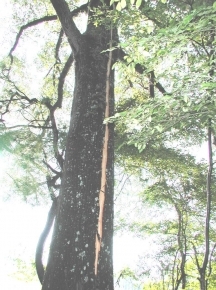 Aug 6, 2011 "Amateur Radio Station Grounding and Lightning Protection"is now available. WP30A190 in pdf format or see description below. Oct 1, 2011 "Panel and Chassis Construction" describes the techniques used to create the projects on this website. 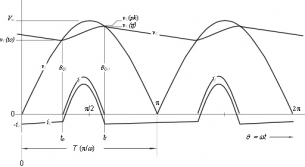 Rectifier Design and Analysis. FW center tapped and FW Bridge Rectifiers designed accurately. Have you ever needed to calculate the voltage and currents in these circuits without using complex and tedious differential equations and integral calculus? If you have, you will want to try this! Theory and practical design tools allows you to select optimum capacitor, rectifier diodes and transformer for your specific application - not just another chart. Only requires an Excel® Spreadsheet. 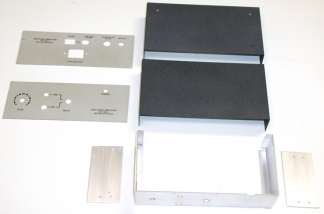 For those old dead linear power supplies new life is a fairly simple restoration project. 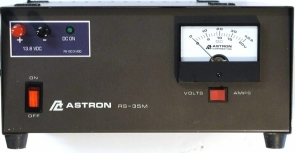 Shown here is an Astron RS-35M that was a victim of lightning but has now been restored to better than new condition with a simple 3 transistor regulator board. 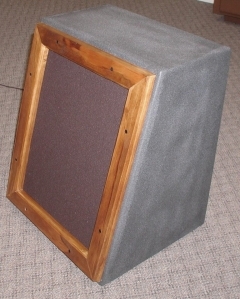 Surpising performance from a simple to build, single driver, tuned port speaker. Several request for information on how the panels and chassis were made prompted me to add this document. The processes, materials and software used are disclosed. Feel free to modify these to suit your needs and capabilities. Proper station grounding and lighting protection are important aspects of installing a radio station. 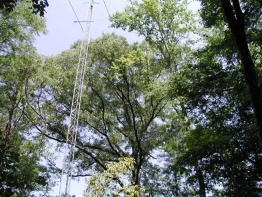 "Amateur Radio Station Grounding and Lightning Protection" is an introduction to this complex subject. References are linked from the document for further study. The image to the left is of the oak tree in the center of the image on the right. It is 65 feet from the tower and shared a lightning event with it July 5, 2011. The radio station and feed lines survived fine, would your's?